Founded in 1970, Pripyat was a model Soviet city built for the Chernobyl plant workers and their families. It was the ninth nuclear-city. Its population had been around 50,000 before the accident. It was a beautiful city filled with everything that anyone could want in a community. It had high-rise apartment buildings, schools, a cultural center, hospital, swimming pools, theatres, stores, restaurants, cafes, playgrounds, and a stadium. On the morning of April 26, the citizens of Pripyat awoke to column of smoke rising from reactor four off in the distance. The reactor at Chernobyl had blown and Pripyat was within what would later be known as Zone of Alienation. 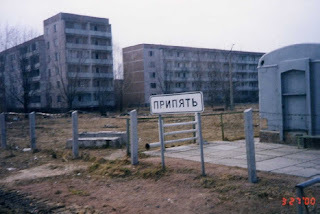 At noon on April 27, the Soviet government informed the citizens of Pripyat that they had two hours to gather their belongings and leave on a bus for mandatory evacuation. They were told that their evacuation was only temporary, for perhaps three days at the most, and so the residents left most of their belongings behind. The 50,000 citizens left their expecting to see their hometown again in just a few days. They would never return. 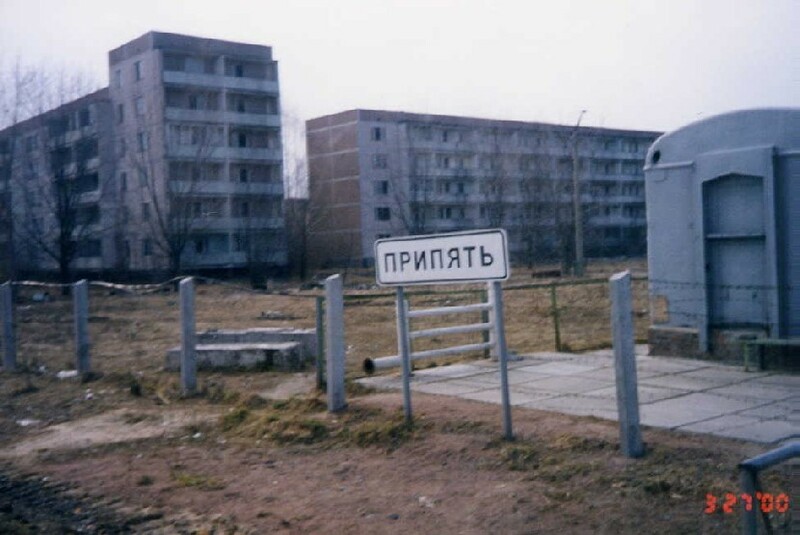 It took 36 hours for the residents of Pripyat to be evacuated from the city. Many say the government failed them and should have evacuated sooner and although the citizens never would return, many still suffer the ill health effects of the massive dose of radiation as a reminder of the home they will never return too. 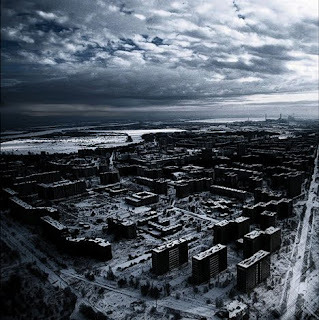 Many have suffered losses as well and grief paints the city of Pripyat with sorrow. Pripyat was left abandoned. It became an enormous ghost city. For a while it sat in stoic silence and then it began to decay. Roofs gave way and water leaked in. Grass grew between the cracks of the sidewalks and weeds took a stranglehold on the once beautiful city. The giant Ferris wheel that once entertained laughing children rusted and turned into a skeletal reminder of everything that had died in the city. Ghost stories came with the dust and hid in the shadows of the empty buildings. Stories of ghost children seeped out like the radiation. Pripyat has become a popular location for tourists and explorers. Those with a fascination for the forgotten can get passes and travel to the ghost town with guides. Radiation levels have been reduced to acceptable levels and for short periods of time Pripyat is harmless in small doses. Destination Truth even visited Pripyat in search of the ghosts that wander its darkened shell. What they managed to capture on film was chilling at times. Pripyat is one of the most haunting ghost towns in the world. I love ghost towns. We have quite a few here in Colorado, but nothing on this scale. Would be unbelievable to go check this place out. That was a great episode of DT. I have a theory that the breakdown of nuclear waste is causing lots of neutrinos to pass around the area and they have neutral charge and can go through objects. I think it could have an effect on the hauntedness of the place. I love the pictures and film of the abandoned place and seeing nature take over. It was such a catastrophe. I remember when that happened. I was overwhelmed by the scope of it. It wasn't just a one-time accident, it will last for hundreds of years. That is truly horrifying. Crazy spooky. I'm with everyone else who loved that DT episode. One of my faves. This is one place that's just nuts. The story of how it happened and came to be...chilling. Excellent post, Jessica! The radiation level is not harmless. It was the most dreadful accident in the human's history. Radiation will stay in the Chernobyl area for the next 48.000 years, but humans may begin repopulating the area in about 600 years - give or take three centuries. The experts predict that, by then, the most dangerous elements will have disappeared - or been sufficiently diluted into the rest of the world's air, soil and water. If we use the lowest scientific estimate, that will be 300 years from now......some scientists say it may be as long as 900 years. Clown... I didn't mean people should move back to Pripyat but rather that in small doses,,, for a brief walk through the levels are no longer toxic. I'm sorry if you misunderstood. They are allowing very brief, controlled visits at this time. No one will be living there any time in the near future or even visiting for long. I have just come across this really interesting blog post. Would be a very intresting spooky place, mixture if ruined buildings and nature taking over the place.. I would love to visit this location for myself so I could get my own picture of that Ferris Wheel! Great Post----abandoned places are so thrilling to explore! The Ferris Wheel was never used. They were to open the park the day of the meltdown. Wow. That makes the Ferris Wheel seem even creepier.